Glympse Bio has developed sensor technology that it says can give clinicians an early look at a developing disease. As Glympse prepares to test its disease detection approach in a serious liver disorder, the startup has raised $22 million in Series A financing. LS Polaris Innovation Fund and Arch Venture Partners co-led the investment in Cambridge, MA-based Glympse. The startup has developed bioengineered nanoparticles that circulate through the body, detect disease, and report their findings through a signal read by testing the patient’s urine. 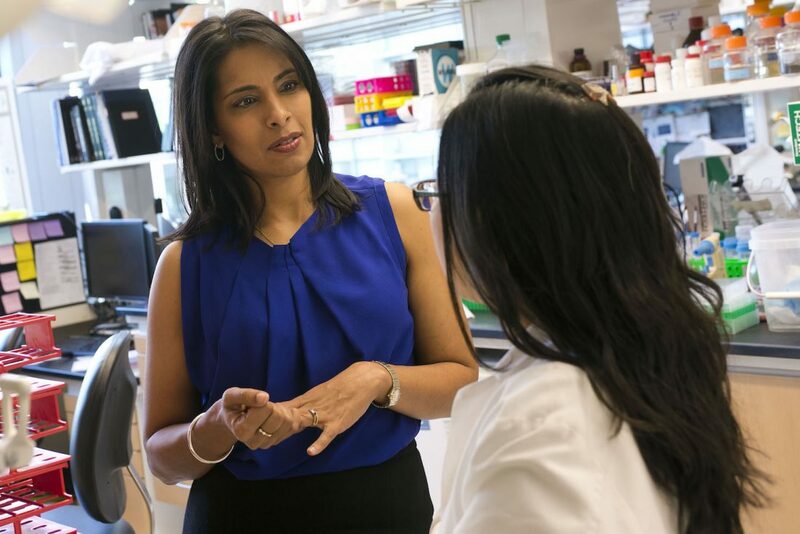 The company, which spun out from the laboratory of MIT professor Sangeeta Bhatia (pictured above), says its “activity sensors” can test for multiple indicators of disease, such as cancer, fibrosis, immune disorders, and infectious disease. Glympse also says its technology can monitor how a patient’s disease is responding to a drug. Glympse’s lead disease target is nonalcoholic steatohepatitis (NASH), a severe form of nonalcoholic fatty liver disease. NASH can lead to liver damage that may require a transplant. The National Institute of Diabetes and Digestive and Kidney Diseases (NIDDK)says research estimates suggest that between 30 percent and 40 percent of adults in the U.S. have fatty liver disease, and up to 12 percent of those adults will develop NASH. There are no FDA-approved drugs for NASH, though researchers have studied the use of diabetes drugs to treat the condition, according to NIDDK. Physicians typically recommend a combination of dietary changes and exercise, as weight loss can reduce the fat in the liver. One of the challenges of diagnosing and treating NASH is that patients who have the disease typically show few symptoms and a tissue sample is required to confirm the diagnosis, according to Merck Manuals. If the Glympse technology works, it could offer patients and physicians an earlier and less invasive way of detecting the disease. Glympse says it has signed multiple collaborations with pharmaceutical companies that are developing NASH drugs, though it did not name any of the companies. The growing prevalence of the disease has attracted a number of drug developers. Last month, Viking Therapeutics (NASDAQ: VKTX) released preliminary data from a study in patients with fatty liver disease that it says showed its drug has potential for treating NASH. Other companies in the race to commercialize a NASH drug include Madrigal Pharmaceuticals (NASDAQ: MGDL), Akero Therapeutics, Intercept Pharmaceuticals, Bristol-Myers Squibb (NYSE: BMY), and Gilead Sciences (NASDAQ: GILD). Gilead may be one of Glympse’s partners. The Foster City, CA, drug company was one of the new investors that Glympse disclosed in its Series A round. Other new investors included CRV, Yonghua Capital, and Inevitable Ventures. Earlier investors GreatPoint Ventures, Heritage Provider Network, and Rivas Capital also contributed to the financing. Glympse had previously raised $6.6 million in a 2015 seed funding round led by Kiran Mazumdar-Shaw at Biocon India, and Theresia Gouw at Aspect Ventures.